It basically involves fine tuning the content of your site along with the HTML and Meta tags and also involves appropriate link building process. 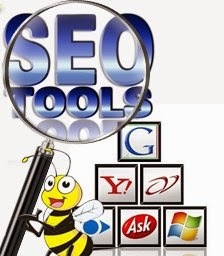 The most popular search engines are Google, Yahoo, MSN Search (Bing), AOL and Ask. Search engines keep their methods and ranking algorithms secret, to get credit for finding the most valuable search-results and to deter spam pages from clogging those results. Algorithms can differ so widely that a webpage that ranks #1 in a particular search engine could rank #200 in another search engine. Search Engine Optimization or SEO is a term widely used today by many e-commerce sites. For the past few years and the next ten years or so, search engines would be the most widely used internet tool to find the sites that they need to go to or the product or information they need. Most people that use search engines use only the ten top search results in the first page. Making it to the first page, more so to the top three is a barometer of a sites success in search engine optimization. You will get a higher ratio of probability in being clicked on when you rank high. The more traffic for your site, the more business you rake in. But, it is essential to grab a hold of that spot or make your ranking even better. As I aforementioned, each day is a new day for all e-commerce sites to make them selves rank higher using search engine optimization. New sites need not be "submitted" to search engines to be listed. A simple link from a well established site will get the search engines to visit the new site and begin to spider its contents. It can take a few days to even weeks from the referring of a link from such an established site for all the main search engine spiders to commence visiting and indexing the new site. Search engine marketing and promotion companies, will look at the plan for your site and make recommendations to increase your search engine ranking and website traffic. If you wish, they will also provide ongoing consultation and reporting to monitor your website and make recommendations for editing and improvements to keep your site traffic flow and your search engine ranking high. Normally your search engine optimization experts work with your web designer to build an integrated plan right away so that all aspects of design are considered at the same time. It is imperative to make your site better and better everyday. So just what is search engine optimization and do you have to use it? The answer to why you have to use it is an easy one. You need search engine optimization to maybe at least make your site income generating. With search engine optimization you can get the benefit of generating a high traffic volume. Let’s just say you get only a turn out of successful sales with 10 to 20 percent of your traffic. If you get a hundred hits or more a day, you get a good turn out of sales already. So once again, what is search engine optimization? Search engine optimization is utilizing tools and methods in making your site top ranking in the results of search engines. Getting yourself in the first page and better yet in the top half of the page will ensure that your site will generate public awareness of your site’s existence and subsequently generate more traffic, traffic that could lead to potential income and business. Search engine optimization requires a some work to be fully realized. There are many aspects you have to change in your site or add as well to get search engine optimization. These will include getting lots of information about the keyword phrases that are popular in regards to your sites niche or theme. You may also need to rewrite your sites contents so that you could get the right keyword phrases in your site without making it too commercial but light and informative. There are certain rules and guidelines to be followed with making your site’s content applicable and conducive to search engine optimization. You will also need to collaborate with many other sites so that you could get link exchanges and page transfers. The more inbound and outbound traffics generated by sites among others are one of the components search engines uses to rank sites. Try to search the internet for many useful help. Tips, guidelines and methods for search engine optimization are plenty to be found. Read many articles that can help you optimize your site in search engine results. The more knowledge and information you gather the better. This will all help you in getting those high rankings. This may require a little time and effort in your part but the benefits will be astounding. There are many sites that help in tracking keyword phrases that can help your site. There are also some content writers that have lots of experience in making good keyword laden content for your sites that have good quality. Act now and see the benefits garner with search engine optimization. All of these will result to better traffic and more business for your site and company. Nice article ! SEO stands for “search engine optimization.” It is the process of getting traffic from the “free,” “organic,” “editorial” or “natural” listings on search engines. All major search engines such as Google, Yahoo and Bing have such results, where web pages and other content such as videos or local listings are shown and ranked based on what the search engine considers most relevant to users. Nowadays, there are a lot of seo service providers in the world . In my experience, XnYnZ.com helps to their customers by providing Search engine visibility service to enhance their website visibility around the internet .